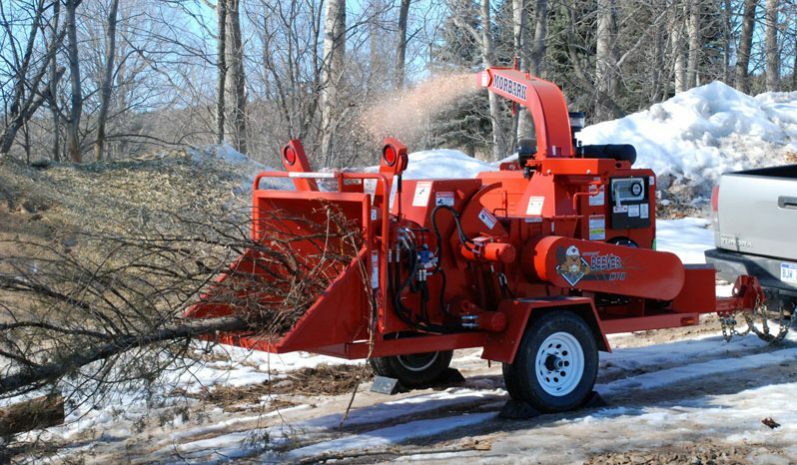 Perfect for utility line clearing, residential tree services, rental yards and municipalities, the Beever™ M12R Brush Chipper is powerful, compact and easy to maneuver. The patented chambered air impeller system increases chip throwing velocity and reduces dust and material blowback out the infeed to pack more into the chip truck. The direct driven dual feed wheel system with serrated teeth and knife bar combination and end cap ripper teeth allow positive material feeding and reduced material wrapping around the feed wheel shaft for increased feeding efficiency. 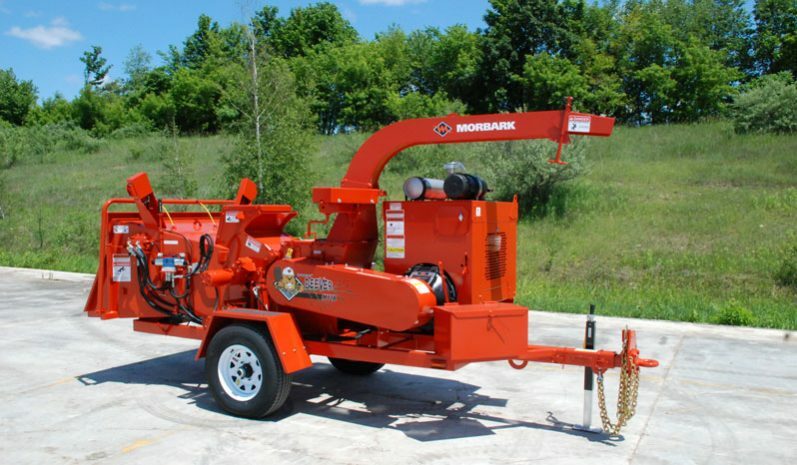 Like all Morbark equipment, the M12R is a long-lasting, durable machine backed by a world-class parts and service support team. Length 15 ft. 5 in. Height 8 ft. 5 in. Feeder Opening Infeed: 60 x 31 in. Throat: 15 x 14 in. 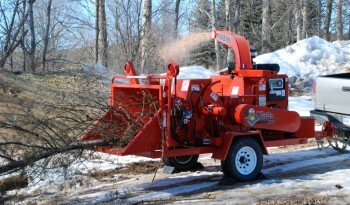 The 60-inch wide x 31-inch high chute opening and 15-inch wide x 14-inch high throat opening allows for easy feeding of branchy material and reduced saw labor. The powerful Hydra-Lift dual feed wheel compression system with spring-assisted down pressure generates more than 3,300 ft. lbs. of combined material pulling force.